Go to the edit mode of the page that you wish to edit. If you need instructions on how, click here. Click the "content" area of the page to insert an image, then click the Image button. 3. There are several options for inserting an image. 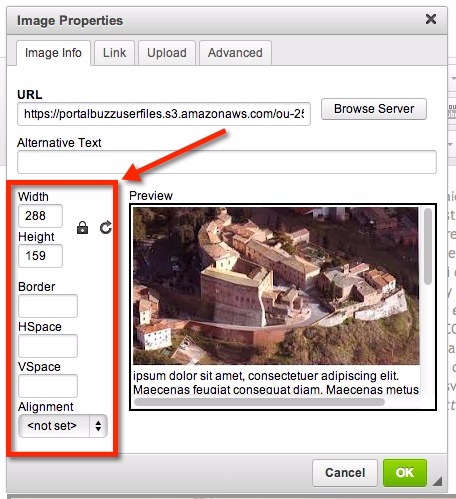 If the image is on the website server, click the Image Info tab and then click the Browse Server button. Locate the image that you need and then double click it to select. Use the options to the left of the "preview" box to adjust the image. See articles below for instruction on adjusting the image. If the image is not on the server, click the Upload tab, then click the Choose File button. Once you locate the file, click it and then click the Open button. 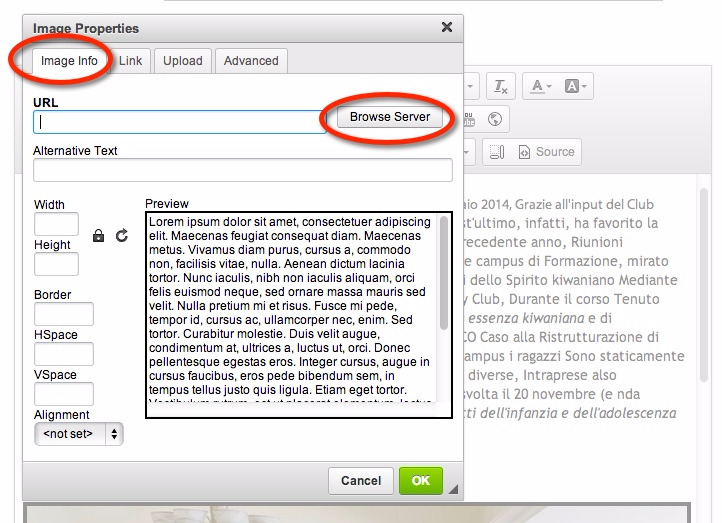 The chosen file will show in the Image Properties window to the right of the Choose File button. Click the Send it to Server button. The image will show in the "preview" box. 4. Use the options to the left of the "preview" box to adjust the image. See articles below for instruction on adjusting the image. 5. Click the OK button to save the added image and any edits. You simply drag the image from your computer to the content area in the edit page. If you want to edit the image, just right click on the image and select Image Properties. 3. Use the options on the left of the "preview" box to adjust the image. See articles below for instruction on adjusting the image. Click the OK button to save the changes you've made. Note: Center alignment is not available in Image Properties. 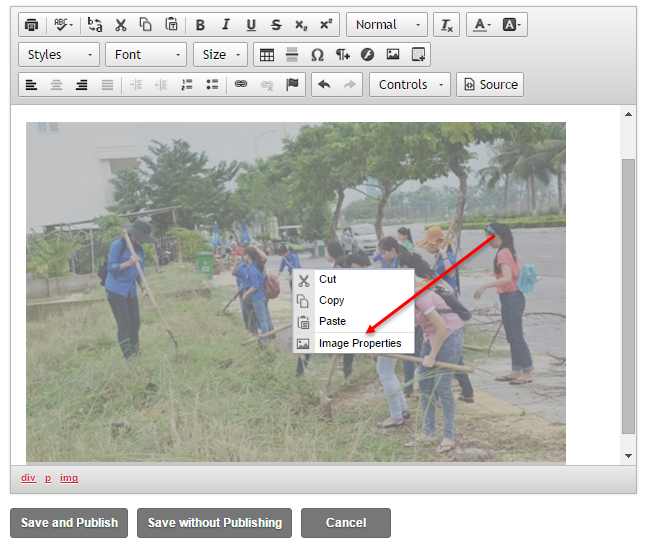 If you want to set your image on the center of the page, place the cursor in the middle of the content area before uploading or dragging your photo on the content page.